I liked what my colleague and friend Robert Marawa had to say on his radio show last night. The South African fans, that’s you and I, are the biggest stumbling block to our national team’s progress. Does Marawa have a point? Yes he does. Like Mzansi’s favourite presenter, I too have been reporting on BafanaBafana and PSL football since the 1990s and there has been a common trend of supporters never being satisfied. I include myself here too because I have also complained about player selection and been frustrated with team performances. But uniting behind the coach and his team now is first priority. We have got our wish now. 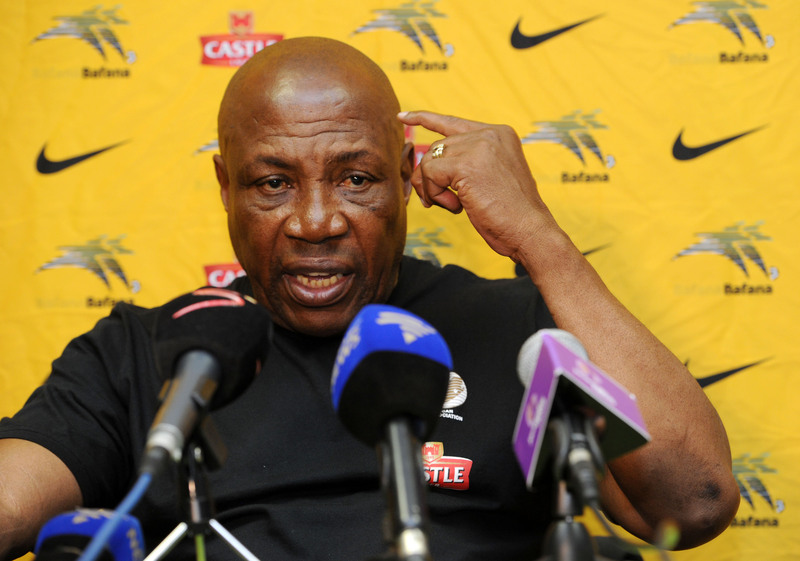 Shakes Mashaba has built a team around youth. There are fresh faces, there are players with huge talent. We are winning matches and scoring goals. What more could fans ask for, right? Wrong. Fans are already asking for changes and being negative. When Rivaldo Coetzee (17) was picked in the starting eleven, fans complained and said ‘who is this kid? Tefu Mashamaite should have started instead’. But after Rivaldo’s classy debut, the language changed. Will this attitude ever change? I don’t know. We are such a passionate bunch, but for the good of Bafana, perhaps Marawa is correct in saying that the South African fan needs a mental/ physcological shift to take place, just like what is happening in Bafana. The players believe in themselves again. The spirit is coming back. The desire is there. They are positive. Now the fans need to follow suit. 1 – Improve your technical and tactical knowledge. Go and watch the players training or playing matches before commenting about them or moaning about their selection. Sometimes we complain without even knowing which team the player belongs to let alone understanding what he offers. 2 – Put aside club loyalties and realise the South African national team is the country’s most important team. If you love Kaizer Chiefs and an Orlando Pirates player is selected for Bafana Bafana in place of your club hero, then get over it. You need to change your lenses and look at Bafana through a new, clear set of lenses. Otherwise you will never improve as Bafana fan. 3 – Go to the stadium. Armchairs critics are the worst. We have all done this in our lives. On a TV screen you can only see so much of a game. You miss the runs that players make off the ball for example. The more you watch from the stadium seats, the more you see and learn. And the more right you have to air your views on the team. Now, enjoy the match against Congo in Polokwane!